SQI Diagnostics will partner with University Health Network (UHN) to create and license rapid multiplexed protein assays and a point-of-care (POC) diagnostic device designed to help transplant surgeons assess the suitability of lungs and other organs for transplantation, through a collaboration whose value was not disclosed. SQI said it will work with UHN to create a rapid multi-plex test and POC device that applies predictive biomarkers developed at UHN, with the goal of more accurately and quantitatively assessing the suitability of a lung for transplant. The research partnership also intends to expand the applicability of a POC testing device for transplants to other organs beyond the lungs. SQI researchers will work with Shaf Keshavjee, MD, MSc, FRCSC, FACS, who heads the Toronto Lung Transplant Program at UHN and the University of Toronto. Keshavjee is a pioneer in improving the health of donor organs for transplantation into critically ill patients with end-stage lung disease, including pulmonary fibrosis, cystic fibrosis, pulmonary hypertension, and chronic obstructive pulmonary disease (COPD). 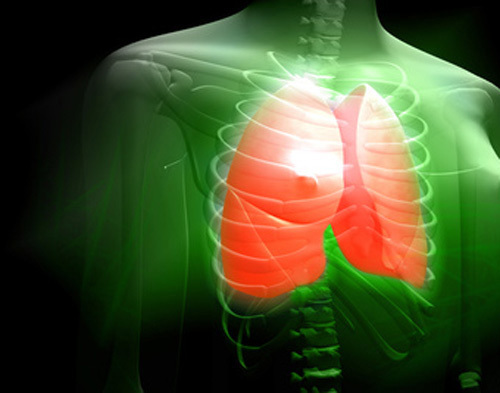 “Integrating rapid diagnostics is a major step forward in lung transplantation. By providing transplant teams with quantitative metrics to more accurately assess donor lungs, we are moving decision making in transplantation into the era of personalized medicine,” Keshavjee said in a statement. In addition to bringing precision medicine to bedside in transplantation, the collaboration also aims to provide unprecedented data to surgeons that will better inform transplant decisions, and ultimately improve post-transplant outcomes for the patient, SQI and UHN said. Based in Toronto, publicly-traded SQI develops and commercializes proprietary technologies and products for advanced multiplexed diagnostics. UHN, a research hospital network affiliated with the University of Toronto, is the largest hospital-based research program in Canada, with major research in cardiology, transplantation, neurosciences, oncology, surgical innovation, infectious diseases, genomic medicine and rehabilitation medicine. UHN consists of Toronto General and Toronto Western Hospitals, the Princess Margaret Cancer Centre, Toronto Rehabilitation Institute, and The Michener Institute of Education at UHN.